Gaming is a huge pastime in my house. All of my kids love to game. From cute little phone apps to very detailed Minecraft and Roblox worlds and more, gaming is in my family’s blood. It’s fun, it’s exciting, it’s interactive, and it’s something they would do all of the time if I let them. It’s kind of addictive in a lot of ways, and it can get pretty intense at times. Because I don’t want them to become robots and I want them to play in moderation for fun, I closely monitor what they are playing and for how long. I also tend to pay attention to how they are playing, if it’s by themselves or online with others. I don’t want them to get too nuts if they can help it, but it can be a challenge. Some of these games, and pressure from friends and other players, can get really intense. I guess in some ways, though, this isn’t exactly a bad thing to have to deal with. It’s like work and school and life. Fun, intense, competitive, stressful. People succeed and fail in their personal and professional lives when they can or cannot deal with all of these things. While it’s difficult for adults to deal with this, it has to be really difficult for kids. As much as I try to help them, outside help is always welcome. Considering all that I mentioned above, I always felt a fun game that can also address some of the drawbacks of gaming (and life in general) could be a huge help for me and for the kids. That’s why I’m so pleased I came across Mightier. 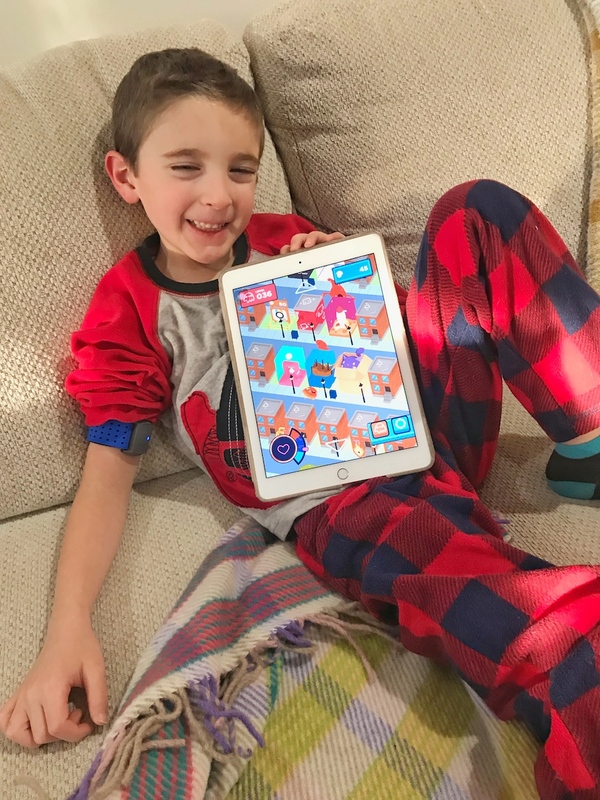 Mightier is a really fun app with many games within the app that kids began to play on their iPads. The games are fun and easy to learn and the kids really took to them. They love how you can accurate currency to buy more and more games. It always keeps everything new and fresh. 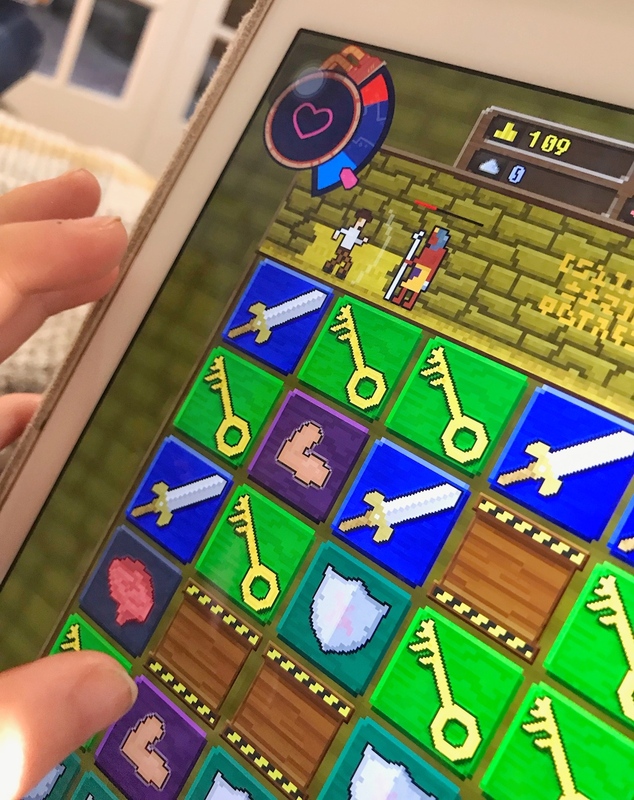 The coolest part of the app is that it helps the kids learn to deal with stress and manage their emotions, and makes it a fun part of the game. They barely even know they are doing it, though they are definitely aware of it. I can see them growing and maturing just a little bit, and I think that’s pretty amazing. Caleb really loved all of the games, but Crossy Ninja, Hibachi Hero, Race the Sun, and You Must Build A Boat were his favorite games. Liam really Air Hockey, Race the Sun, Brick Breaker, and Return of Invaders. There is just such an amazing mix of games in the app, that neither of my boys ever seemed to tire of Mightier. When more currency was accumulated, they were able to get more games. It’s really cool. Check out this video, it will really help you understand the program!! 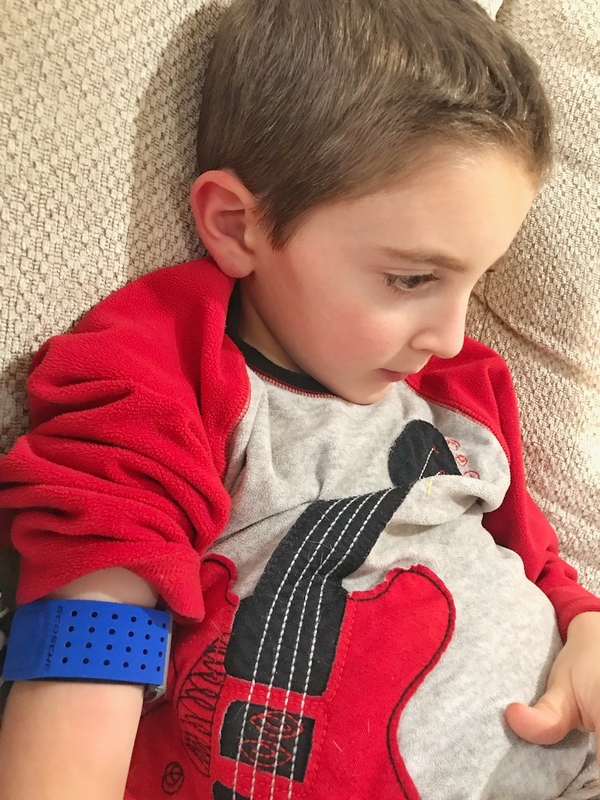 When they are playing, the kids wear a Mighty Band heart rate monitor as they play bioresponsive video games that respond to changes in heart rate in real time. As heart rates go up, the games get harder to play. The more kids learn to stay calm, the more they succeed. They very quickly understood this and learned to deal with tough situations in the game. They became aware of there emotions and their stress levels. It’s pretty innovative to link up the player’s heart rate levels via the band to changes in the game play itself. There is a direct correlation and I love that the player is rewarded immediately for calming down and controlling their heart rate!! The best part, I noticed that after a few weeks of playing the all of the different games in the app, the kids started to apply these techniques to their daily lives. At first, it was me reminding them to relax and to breathe, just like they did the Mightier games. They got it and it stuck. 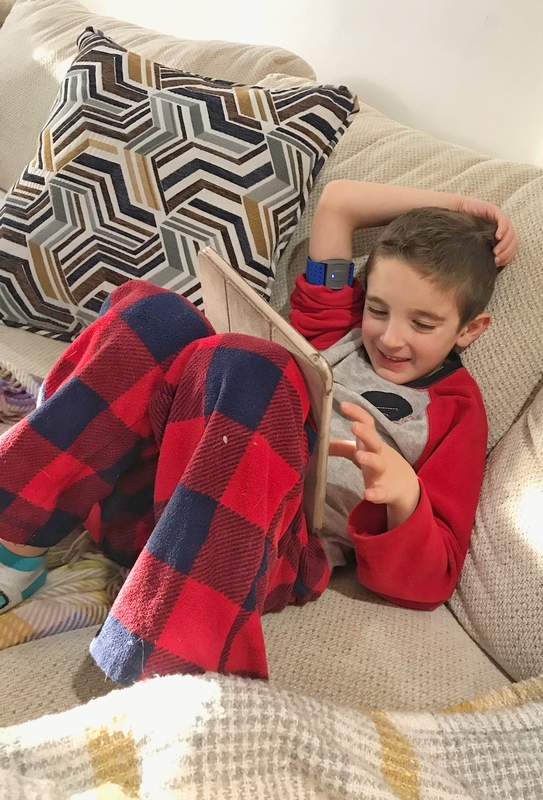 Not too long after, they began to do the same on their own, managing stressful and annoying situations in their game, other games, sports, and homework!! It was pretty impressive and awesome to see. I know I wasn’t that aware when I was 5, 11, and 13. I’ve seen some great changes to them and the way they approach and deal with stressful situations. I think it’s making them a little better, happier, and better equipped to take on the day!! 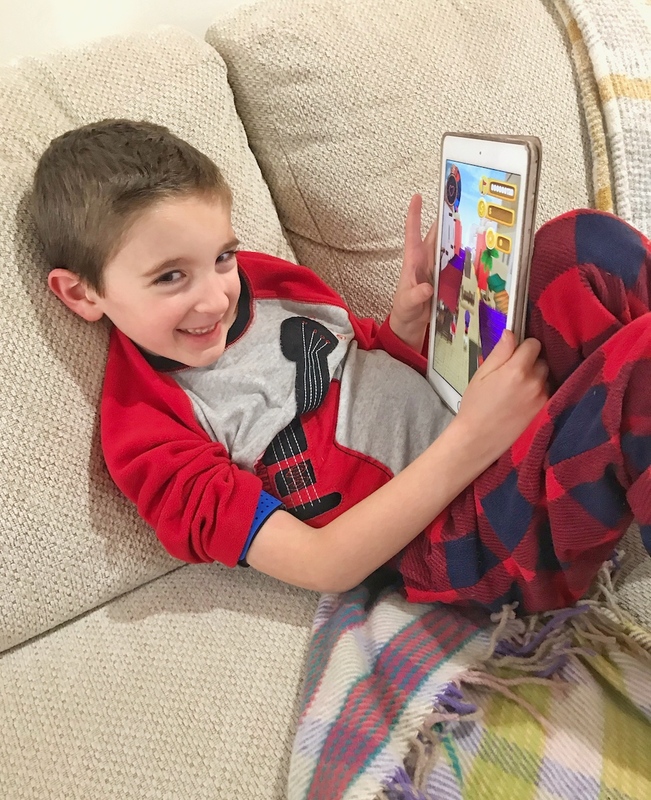 Mightier was developed and tested across seven years at Boston Children’s Hospital and Harvard Medical School to give kids a safe place to practice emotional control, develop coping skills, and build the emotional muscle memory they need to help respond to life’s challenges. The program is designed to help your children with only 45 mins/week of game play leading to the best results!!! That’s so little screen time for so much benefit. It’s all about the science, baby!! In other words, it’s a fun way to get your kids to “learn how to deal.” And that’s pretty fantastic. There are two great options with Mightier, the Starter Program and the Foundation Program. The Starter Program is packed with Monthly Games, the Parent Hub, Parent Webinars, a great Online Community, a 30-minute coaching call, the Mighty Band. The Foundation Program offers all of that plus a dedicated tablet, unlimited 1-on-1 coaching calls, and a parents’ playbook! The Stater program carries a $99 one-time fee, then it’s $19/mo. The Foundation Program carries a $199 one-time fee, then it’s $19/mo. Both programs come with a free 30-day trial to see if you like the program!! You can cancel at any time with either program, so it’s very little risk to you!!! You can find out more at mightier.com/join. Yes, the app and all of its many games are fun and easy to use, but you are not on your own!! One of the best parts of the app has to be the coaching component. It’s pretty amazing, and not exactly a common part of a typical video game. As you can see over and over, this is not a common video game or app. All Mightier families are matched with a Masters level clinical coach to help families navigate their journey. Families count on their coach as a sounding board and resource for tools, information, and an expert, outside perspective. Sign up for a coaching call that comes with the program, so you get the full experience. Each coach is a masters level clinician who can help parents set expectations for success and develop strategies to help apply skills learned in the games to the specific challenges their child faces in everyday life. Here’s a link to more about the coaching component: https://mightier.com/coaching/. My parenting coach, Jenna Rosenbloom, MSW, was awesome. She was very patient and helpful when I had my calls with her. Ms. Rosenbloom was really helpful in explaining how Mightier is supposed to work and how I can get the most out of it. She also had some great insights into overall stress management and how to get kids to really understand how their body responds to these situations and how they can deal with it. I never felt rushed or not attended too. This is truly an outstanding and unique component of the Mightier app. I doubt there are many (if any) other apps out there with this level of service and commitment to improving our kids’ lives!!! Choose the right Mightier Program for your family!! This is such a fantastic idea! Gaming is something all kids love and relate to, I can see how this could help them cope with emotionally overwhelming situations. Having something familiar to help guide the kids through stressful times is pure genius. I love this idea. This program reminds me of Zelda back in my day as a child. Great concept; I’ll have to let me kids give it shot! What a wonderful concept! I like how kids can learn to apply stress relieving tactics to their every day life with Mightier. I am going to have to suggest this to my sisters who have kids that fit the target range for these games. Love the overall vibe of this and how Mightier tackles the more stressful parts of life for kids. As long as there is a “gameplan” (haha) on kids gaming, its a win! I have a niece who has trouble with social interactions because they overwhelm her sometimes. Gaming has really helped her pop out of this. It’s a fun and techie concept for kids these days. Well, I like to keep it educational for my niece and nephews. Great topic to tackle especially on this millennial age. This sounds like a great app. All kids love to play games on smartphones and tablets but this Mightier app is by far the best I’ve read about. I will let my cousin know about it. Her daughters would love it. Sometimes we forget kids have stress too! Love your controlled approach to helping them cope. Looks like an amazing app. If the kids are going to have screen time it should be helpful engaging apps like this. I totally need to look into this for my kids. They love tech and so I think that they would really enjoy this.